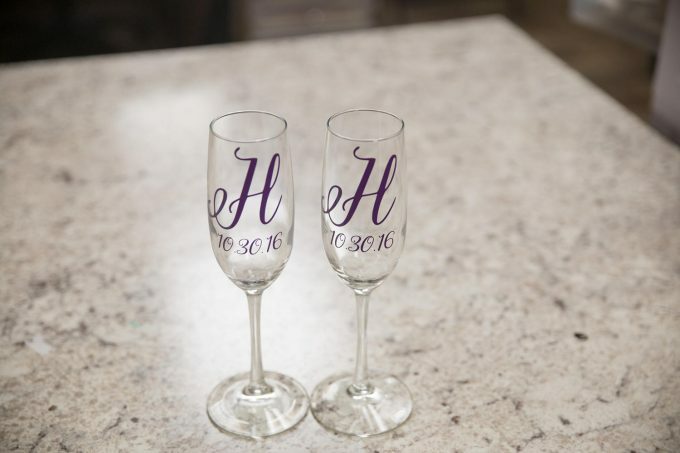 Home | Who Buys Champagne Flutes for Bride and Groom? Hey, Melissa! Great question. When it comes to who buys what for weddings, the rules have really changed a lot over the years. No one is responsible for buying you anything, really, and as far as we know there was never a tradition related specifically to the champagne flutes. 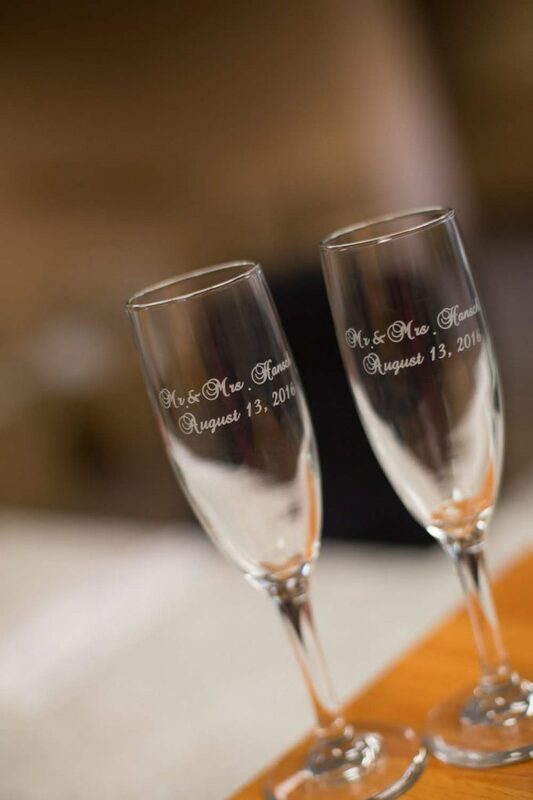 However, sometimes a bride and groom will receive champagne flutes for toasting, usually a personalized set, since it makes such a nice gift. If you see a pair you like at the place you’ve registered (and everyone should be registered here because it has everything under the sun, even handmade! ), be sure to add it to your list. It can’t hurt! 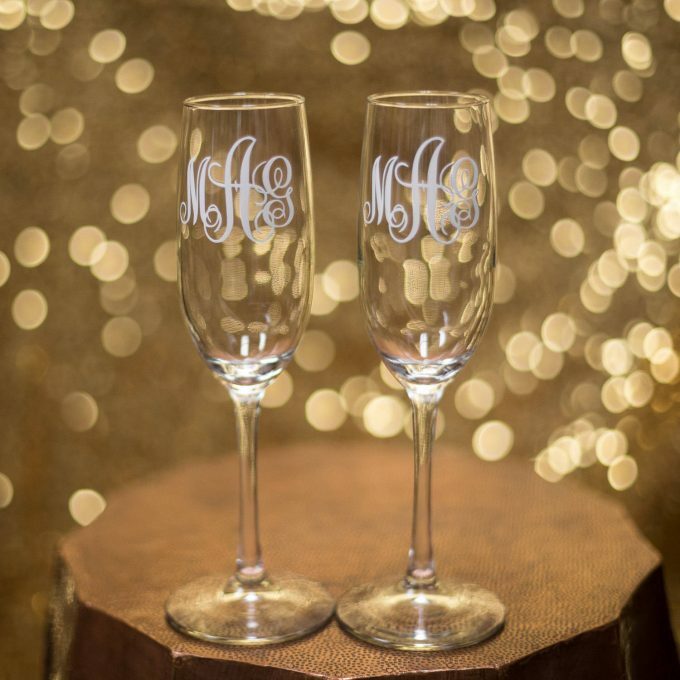 Guests may not know if you already own a pair, so seeing one on your registry will tell them it is a gift you would like to receive. 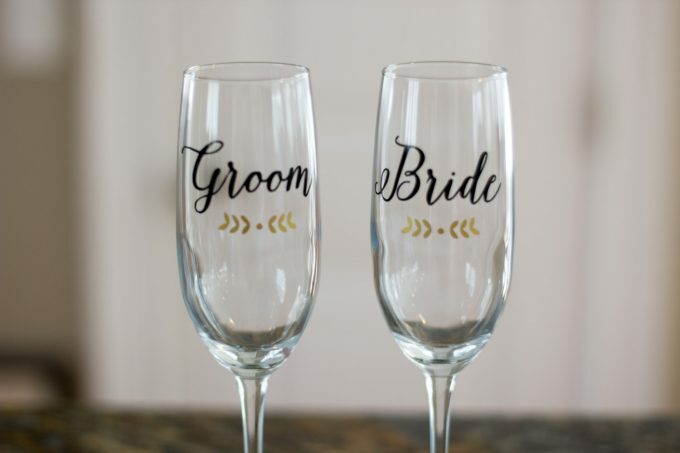 However, if you really want a set and do not receive one at your bridal shower, remove it from your registry and buy it yourself. (P.S. Questions about your registry? Read: 9 Wedding Registry Mistakes to Avoid). 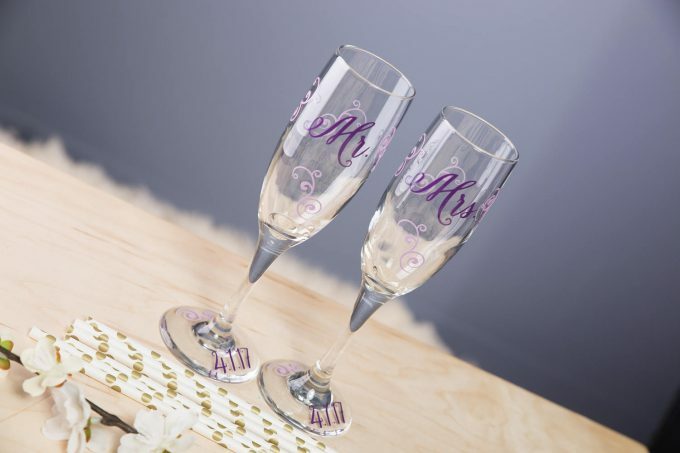 All this talk about personalized champagne flutes for the bride and groom inspired to see what was out there, so naturally I turned to one of my fave shops — Waterfall Designs. If you’ve been following our blog for awhile, you know how much we adore Sheena’s work. 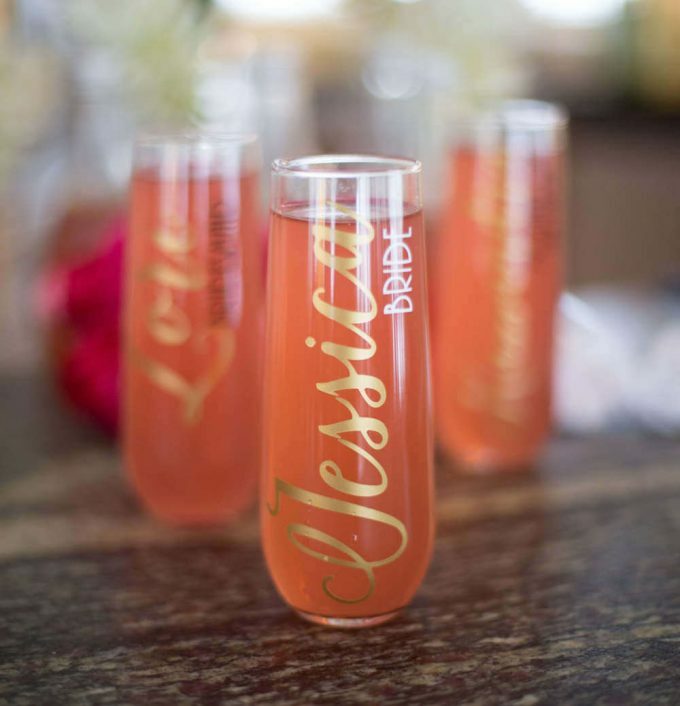 Her personalized champagne flutes and wine glasses are so pretty; I don’t know how she does it! 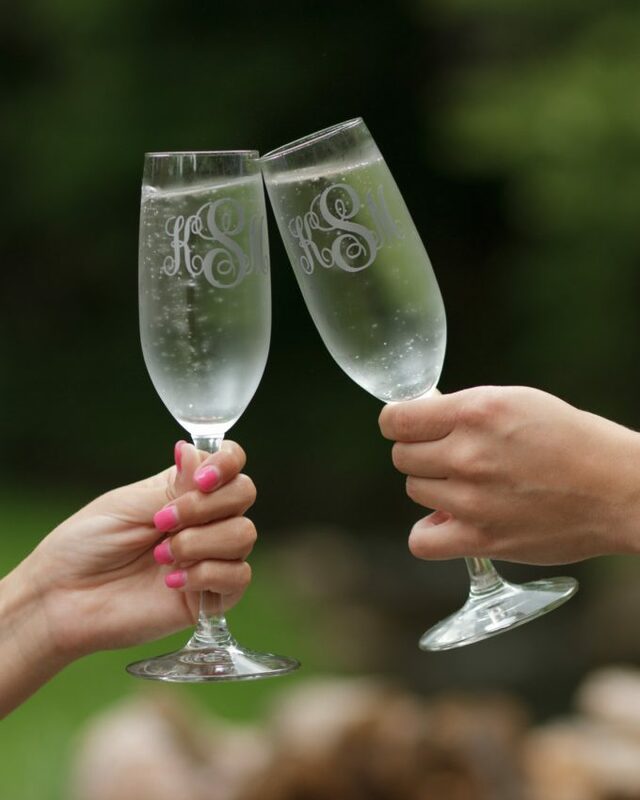 I especially love her stemless bridesmaid flutes but today I checked out the bride and groom flutes. And here’s what I found. Take a look! 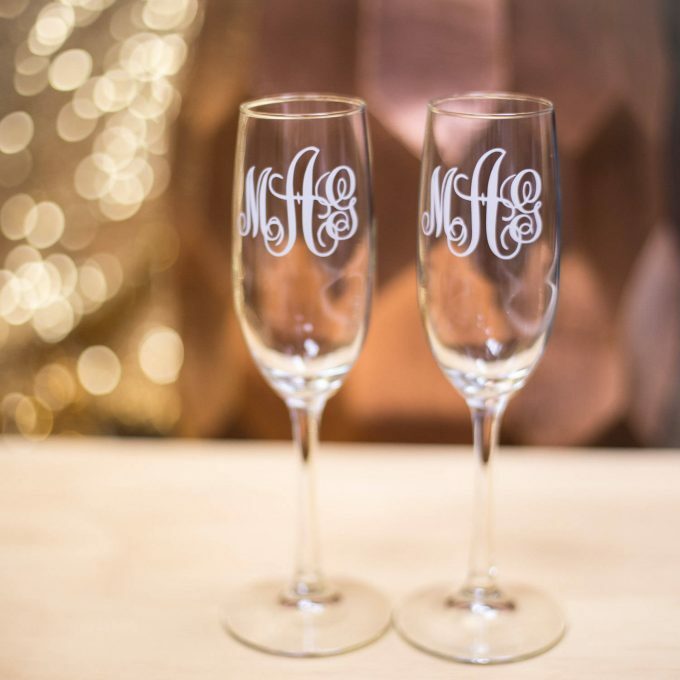 My favorite set is this monogram style. It’s so classy and goes with any wedding theme or decor. by waterfall designsHere are some others you’ll love, too! So, what do you think? 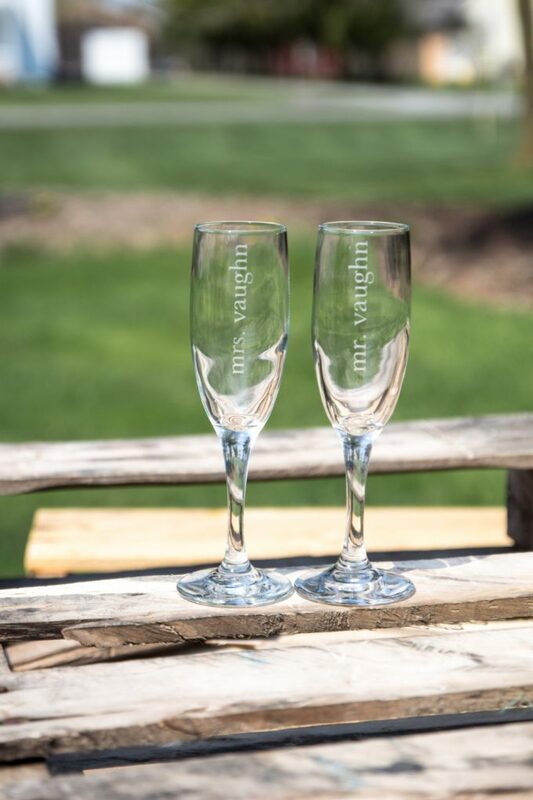 Were you wondering who buys champagne flutes for bride and groom, or even things like a cake server or unity candle? It’s safe to say there are no rules and if you want something for your wedding, go ahead and buy it. You really know best whether you’ll use it or not. Anyways, leave your comments below. We’d love to hear from you! 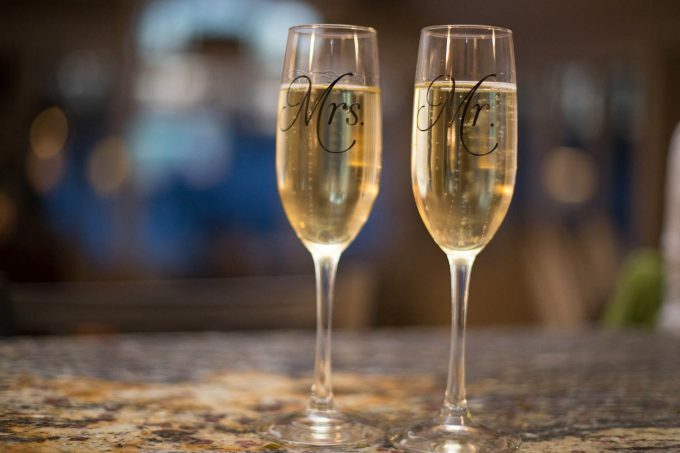 Do you have a wedding advice question for us? Just Ask Emmaline and your question could appear in an upcoming blog post. 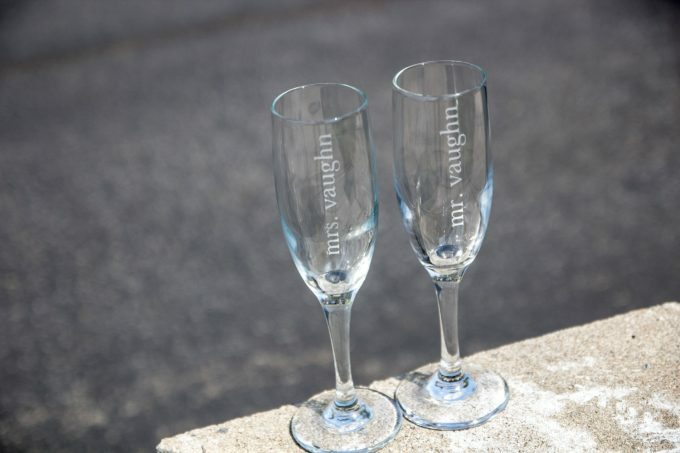 Get your own champagne flutes!